In early 1985 the Rainbow Warrior had never looked better. It had a fresh coat of paint, a new radio and radar, and a complete engine overhaul. The crew remarked on how well the ship sailed. The ship was in Auckland, New Zealand, preparing to visit Moruroa Atoll for a major campaign against French nuclear testing. But the voyage was not to be. At the time, a French volunteer known as Frederique Bonlieu was helping out in the Greenpeace office in Auckland. But Bonlieu was in fact Christine Cabon, a French secret service agent. In the office, she folded letters, sealed envelopes and sorted address labels. In secret, she monitored communication from the Rainbow Warrior, collected maps and investigated underwater equipment. Her mission was to lay the groundwork for French saboteurs who were coming to sink the Rainbow Warrior. The French wanted to stop Greenpeace's plans for a peaceful protest against nuclear testing. They were particularly concerned about Polynesians launching outrigger canoes from the Rainbow Warrior. Polynesia is a French territory and the French feared any hint of independence. The first bomb exploded at 11.38pm, lifting those in the mess off their seats. Davy Edwards rushed into the engine room to find a hole the size of a car, water pouring in. Everyone was ordered off the ship but some went back to grab possessions. Fernando Pereira, the ship's photographer, was one of them, perhaps going after his precious cameras. There was a second explosion and, caught in a rush of water, Pereira drowned. The crew were in shock. They gave statements to the New Zealand police, who reacted swiftly to the first act of terrorism on their soil. Piecing together statements from members of the public, they were soon questioning a French couple, agents Prieur and Mafart of the French secret service. Initially, the French government denied all knowledge but it soon became obvious that they were involved. Soon French Prime Minister Fabius appeared on television to tell a shocked world, "Agents of the DGSE (Secret Service) sank this boat. They acted on orders." The French minister of defense resigned. Six weeks later in New Zealand, the preliminary hearing in the trial of agents Prieur and Mafart began in Auckland. It was expected to last for weeks but a deal was struck before the agents entered the courtroom. In just 34 minutes, they pleaded guilty to charges of manslaughter and willful damage, attracting sentences of 10 and 7 years to be served concurrently. A UN negotiated settlement meant that the two agents were transferred to Hao atoll, a French military base in French Polynesia to serve their time. They were each released in less than two years. Two divers, who were part of a large French Secret Service team, planted the bombs beneath the Rainbow Warrior. At first the French denied any involvement but, as the evidence mounted, they later admitted to planning the entire campaign. Only two French agents ever served time in prison. Many others simply disappeared. Cabon joined the French army in 1977, and was later transferred to the intelligence gathering and evaluation wing of the Direction Generale de la Securite Exterieure (DGSE - French Secret Service). She infiltrated the Greenpeace New Zealand office in April 1985 to uncover plans for the Greenpeace Moruroa trip and gathered directions, maps, and information for the Ouvea crew and the Turenges. She left New Zealand on May 24 1985; at the time of the bombing she was in Israel. The same day the Auckland police asked the Israeli authorities to arrest her, she was warned off by the DGSE and was able to leave Israel before Israeli authorities arrested her. She has since disappeared. The three Ouvea crew are believed to have smuggled explosives, an inflatable and an outboard motor into New Zealand. It is possible but unlikely that one of them actually placed the bombs. It is believed that around 8.30pm, 10 July, 1985, Jean-Michel Bartelo put on his scuba gear and slipped beneath the water, heading for the Rainbow Warrior. Two packets of plastic-wrapped explosives were attached to the ship, one by the propeller, the other to the outer wall of the engine room. Many of the crew had left the ship to go for a drink but several remained, relaxing in the mess. Bartelo was a combat frogman. His whereabouts since the bombing are unknown. Maniguet was a doctor specializing in treating diving accident victims. He claimed only to have been a passenger on board the Ouvea. He was living in Dieppe, Normandy (France) in 1985. He later wrote a book, The Jaws Of Death (Shark As Predator, Man As Prey), which included reference to his role in the Rainbow Warrior bombing. Skipper of the Ouvea, Velche was a combat frogman who joined the French army in 1970 and was later seconded to the DGSE. He was based at the Navy Frogmen Training Centre (CINC) at Aspretto in Corsica, which was closed in 1986. Andries was a combat frogman. He brought the inflatable and the outboard motorused in the bombing from London. Six years after the bombing, he was arrested in Basel, Switzerland, but New Zealand informed Swiss authorities they would not seek his extradition. A member of the French Secret Service, Mafart supported the sabotage team and was arrested by New Zealand police when returning a rental van. He pleaded guilty to manslaughter and was sentenced to 10 years' imprisonment. Later he was deported to Hao in French Polynesia and served three years. He returned to Paris and is now a colonel. Prieur was a specialist in European peace movements. After her arrest by New Zealand police, she received the same sentence as Mafart. Her husband was allowed to join her in Hao and she became pregnant, returning to Paris in 1988. She is now a commandant. Dillais was the chief of the Rainbow Warrior bombing operation. He reportedly drove the inflatable for the two divers. He is now in charge of military intelligence in France. A colonel in 1985, Lesquer was head of the action unit charged with the bombing. He lost his post over the scandal but was later promoted to brigadier-general after the Gulf War. In February, 1995, he was promoted to major-general. Fernando Pereira was a Dutch photographer, originally from Portugal. He drowned on 10 July 1985, when two explosions ripped through the hull of the Rainbow Warrior. The rest of the crew managed to flee to safety. Pereira had just celebrated his 35th birthday in Rongelap Atoll in the Marshall Islands with the crew of the Rainbow Warrior. He was planning to go to Moruroa to bring photographs of French nuclear testing to the world. Tragically, his peaceful intention became the cause of his death. A New Zealand court found two members of the French secret service guilty of manslaughter. Although they were sentenced to 10 years in jail, both were free within two years. One was smuggled out of Tahiti under a false identity. Justice has never fully been served for Fernando Pereira but his memory continues to inspire those aboard the Rainbow Warrior who fight for a cleaner world. What happened to the Rainbow Warrior? 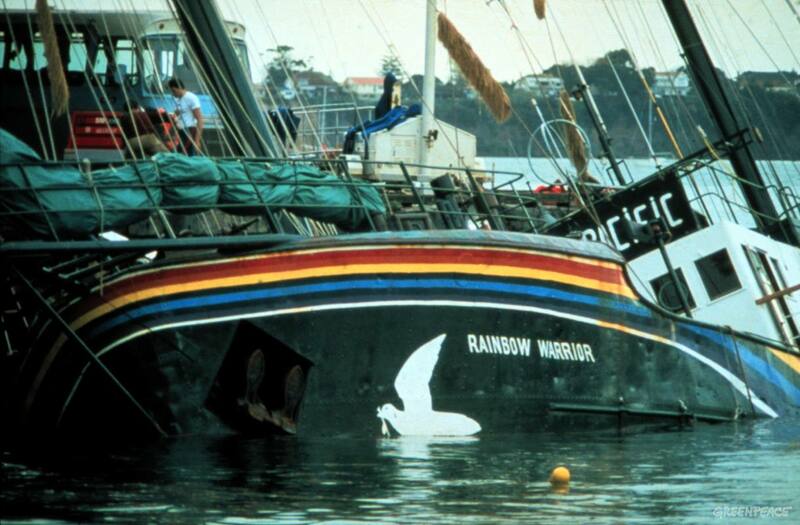 After the bombing, the Rainbow Warrior was given a final resting place at Matauri Bay, in New Zealand's Cavalli Islands. It has become a living reef, attracting marine life and recreational divers. The idea was first proposed by the New Zealand Underwater Association. It seemed a fitting end for a ship that had spent its time protecting the marine environment. It was towed north with a patched hull on 2 December 1987. Ten days later, a crowd of well-wishers looked on as it was given a traditional Maori burial. Now home to a complex ecosystem, the Rainbow Warrior has become a popular dive destination. The local Maori community maintains its kaitaki (conservation). 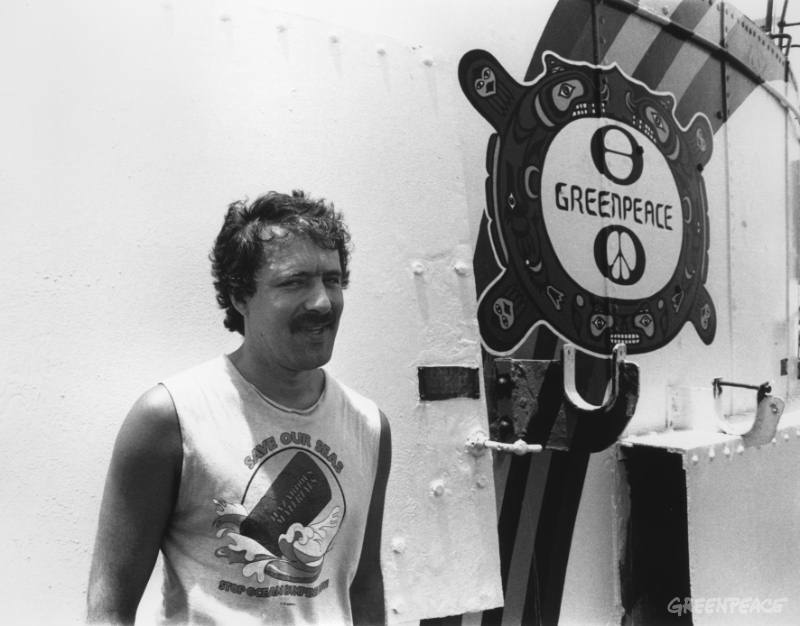 In a few short years, the Rainbow Warrior became an integral part of the environment it helped protect. The bombing of the Rainbow..